In a mobile world, you live and die with your batteries. I’m pretty sure everyone has been stranded without a necessary power cable at some point. Also, have you ever noticed how as your batteries age, they don’t seem to hold their charge for long spans of time? Keep batteries healthy with a few simple steps. New batteries should be fully charged before you use the device. NO EXCEPTIONS! Laptops, cameras, cell phones, or regular rechargeable batteries, they all need to fully charge before their initial use. This helps the battery reach full capacity. Also, when using a new battery you should make sure that you fully charge and fully discharge it for at least the first four uses. You do this by using the device until the battery is empty or your device start yelling at you because the battery is about to die. This is important because it will take a few cycles for your battery to achieve full capacity. After the first few charging cycles, make sure that you fully charge and fully discharge the battery every two weeks. This helps to keep your battery healthy and keep it from diminishing in capacity. The exception to this rule are Lithium Ion batteries or Li-Ion. The type of battery will be printed somewhere on the battery itself. The other common types of batteries are Nickel Cadmium or NiCad & Nickel Metal Hydride or NiMH. NiCad & NiMH batteries must be cycled every few weeks. Li-Ion do not require the effort. Here’s the bad news. 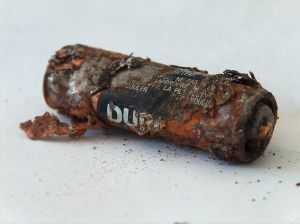 If you failed to do this with your current batteries and you are looking for a way to make them live longer, tough. It’s time to go out and buy new ones and start over. If you have a choice, go with Li-Ion batteries. They are just as powerful as NiMH and more powerful than NiCad batteries. They are lighter, more eco-friendly, and are easier to use because you don’t have to cycle them. All batteries will erode over time. Eventually you will have to replace any battery, but proper care will delay that inevitability. Plus, you never know when you will need that device to last a couple minutes longer.